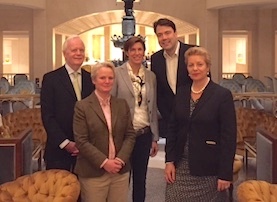 The German Chapter of the Cornell Hotel Society is one of the largest Hotel School alumni organization in the region. Our society has about 130 alumni throughout the country and is considered one of the most active organizations for graduates of its kind! undergraduate or graduate degree holder or have attended at least one course of the Professional Development Program. At present we do not collect any dues and membership in the local chapter is free of charge. However, we strongly recommend membership in the international Cornel Hotel Society, where your dues help subsidize events, support various scholarship funds and community service projects, as well as maintain our infrastructure and support communication with alumni. If you have attended at least six courses of the Professional Development Program, you are eligable to become a full member by paying your dues now online, just a click away. Do it for yourself, your community and the school! Our organization is not just about using alumni donations to facilitate past, present, and future relationships with Cornellians. It is also about giving back to the country and Cornell. CHS Germany is also involved in community service and fundraising for charitable events. The Newsletter on this page contains the most current letter of our chapter President Jeffrey Scott. If you are interested in receiving our chapter events and information directly, please follow http://www.dailypoint.com/cornell/ to register for our mailing list. CHS Germany toured two Berlin City East Side Gallery Hotels: The Hotel Indigo and Hampton Inn. 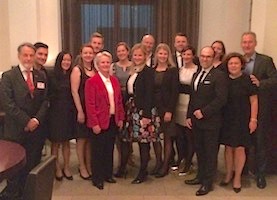 CHS Germany celebrated CHS at 90 at Oscar’s Brasserie Moderne in Frankfurt. On Tuesday, April 25, 2017, the CHS Berlin chapter met at the recently opened Hotel Provocateur. 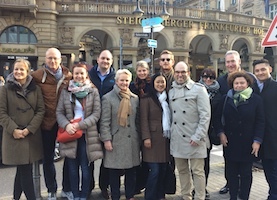 Hotelies from around the world gathered for the annual CHS breakfast held in conjunction with the ITB travel conference in Berlin. Members of the German Chapter enjoyed dinner and a tour of the innovative HafenCity in Hamburg.